I recently watched a TED video of Angela Lee Duckworth, a psychologist who has studied success in students, West Point cadets, teachers, sales people, and more. Her research has determined something we need to know as leaders, managers, individual contributors, and even parents. We all need to be grittier. I look around and I see many people who don’t seem able, or willing, to go the distance. I hear clients, colleagues, friends, and myself wanting to give up when things aren’t going right. We seem to be in a society of quick fixes and a work environment of short-term gains and “what have you done for me lately?” approaches. So how do we get grittier, if grit is what is needed? We don’t know. Right now we don’t really know how to build a strong work ethic in others. We might not even know how to build it in ourselves. We can reinforce positive behavior and teach the importance of grit, but does that work? People either seem to have a strong work ethic or they don’t. We don’t know how to help others work hard for their future goals if they’re not self-motivated to work hard for their future goals. We don’t know how to build grit. Luckily, Duckworth also shared research from Stanford University about how to help ourselves and others become more gritty. This research showed that a “growth mind set” – a belief that the ability to learn is not set and that it can grow with effort – is a key to building grit. It seems that when we believe we can learn from our mistakes, when we believe that failure is not a permanent condition, we’re more likely to stick with things. We’re more gritty. And we’re therefore more successful. So maybe that’s the leadership learning – to help ourselves and others remember that trying is a way to advance, and that trying and failing is a way to learn. That if we stick with things and don’t give up, we not only learn, but we have a key ingredient to achieving the goals we’re aiming for. We’re gritty and we’re good. 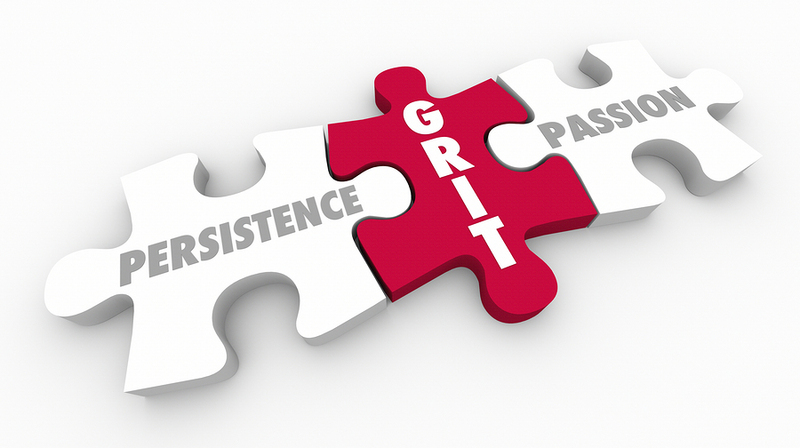 For support in developing your grit, contact Lisa at lkohn@chatsworthconsulting.com. Thanks for your comment, Mim! I am reading How Children Succeed right now and enjoying it. Lots of great examples and lessons in leadership and personal accountability. As we know so well, people can lead from anywhere. Thanks again for sharing!